When students hear the words, “clay,” or, “ceramics,” they often think of pinch pots, mugs, and bowls. While all of these items are examples of ceramics pieces, there is so much more for students to learn and explore. 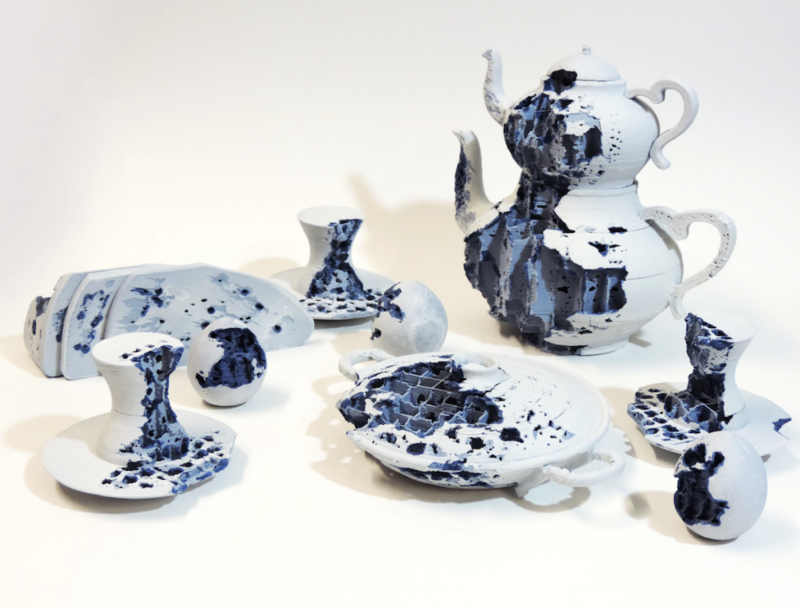 Here are 10 ceramics artists who are using clay in new and interesting ways. Your students are going to love them. 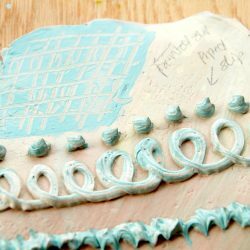 Explore her work by having students try to create fluid folds in clay by making and draping thin slabs. You can also have them take inspiration from her poetic statement to write their own. Eliane Monnin is a French artist. Her work is filled with texture and pattern and has a strong connection to nature. Take advantage of her website and videos being in French to collaborate with your school’s French teacher and explore her work and process. Also be sure sure to check her out on Instagram. 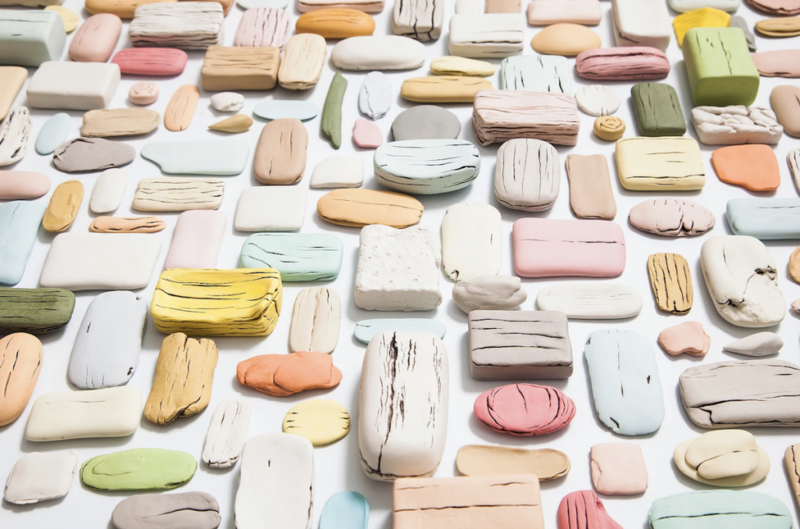 If you’re looking to help your students create wonderful ceramics pieces in your classroom, be sure to check out these amazing resources from AOE! 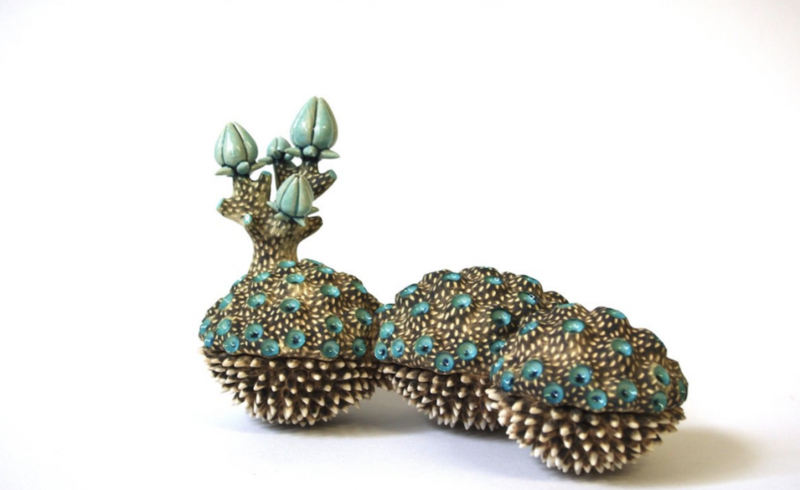 Linda Lopez creates organic objects and forms from clay. Her objects are often created by layering a repeated shape or form over and over again. They’re playful yet serious. Her Instagram account has some in-progress photos that help to show the process as well as the scale of her work. Have your students create a collaborative piece. 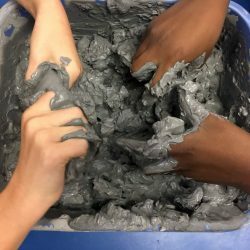 Students can determine what shape or form they wish to create, then work together to connect them, making a new whole. 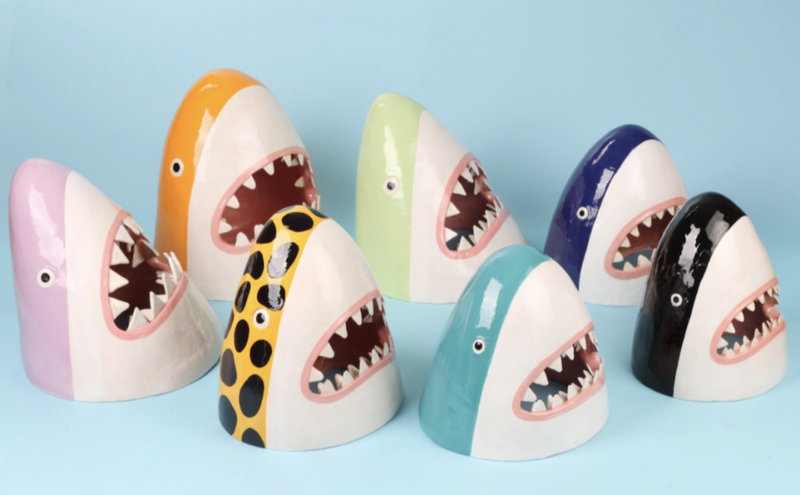 Lorien Stern creates playful, colorful ceramics sculptures. She works on taking things she considers scary or sad and transforms them with color and pattern until they become things of joy and happiness. Be sure to check out the “About” section on her website for a great video that shares her process and studio space. Use her work as a prompt for your students. Have students think about things they find scary or intimidating and see if they can transform them through the use of color and pattern. Be sure to also find her on Instagram. 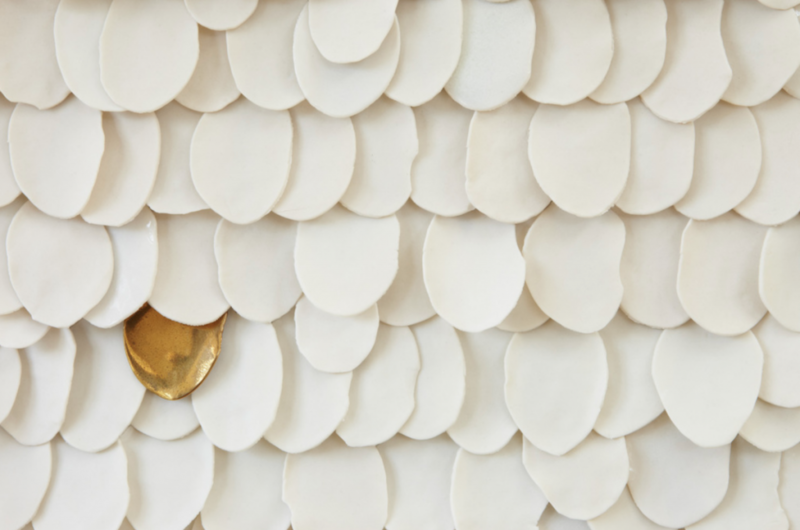 Ikuko Iwamoto creates work that is mainly white, with pops of gold. She plays with ceramics in several ways. 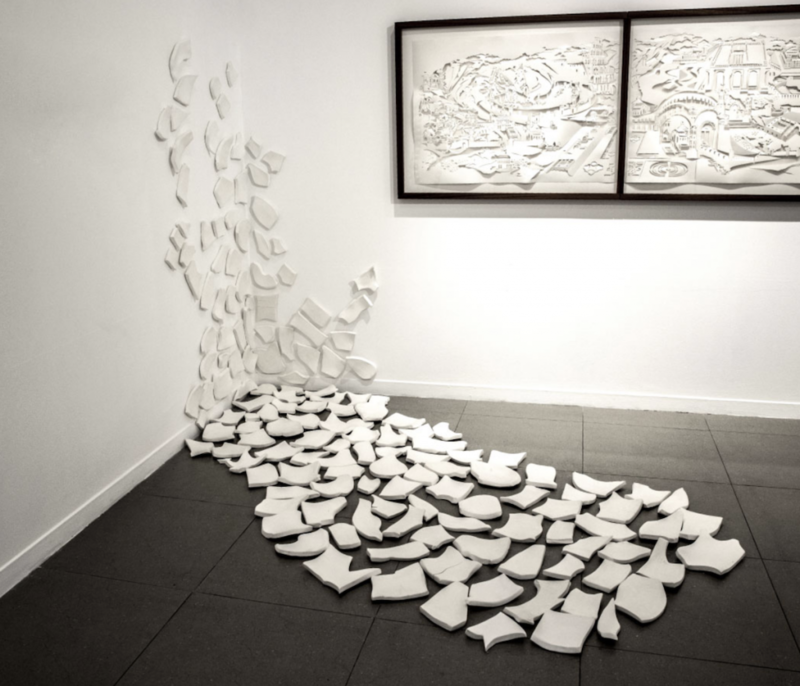 Some of her pieces are 3-D and enclosed in frames making them look like relief sculptures. Others are free-standing, and finally, some are functional. Her work comes to life through form and surface texture. Have students learn about drawing with slip and explore how texture can transform their work. 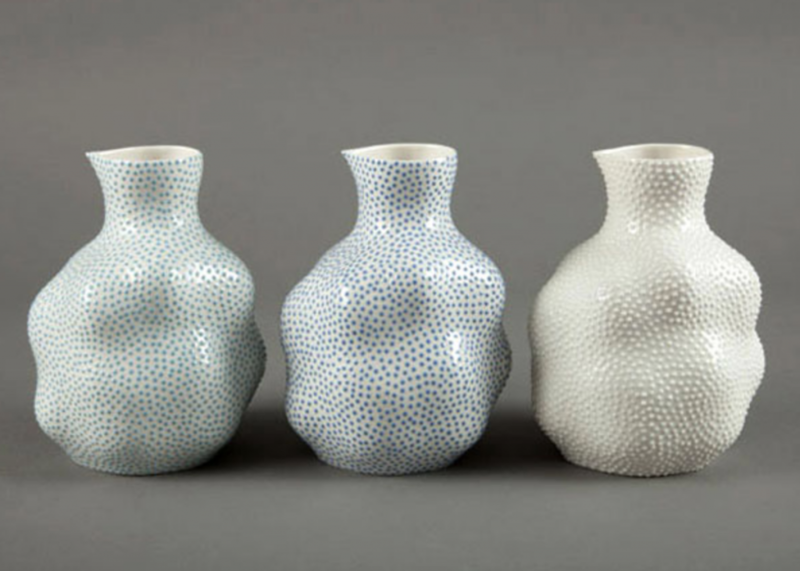 ReChang Tsang creates pieces through the repetition of a single shape. The way the shapes are organized and painted impacts the story and feeling behind the work. Make sure to spend time exploring her Instagram, as you’ll be able to see more of her process. Tsang’s work would be great to use as a jumping off point for a class or school-wide collaborative piece. 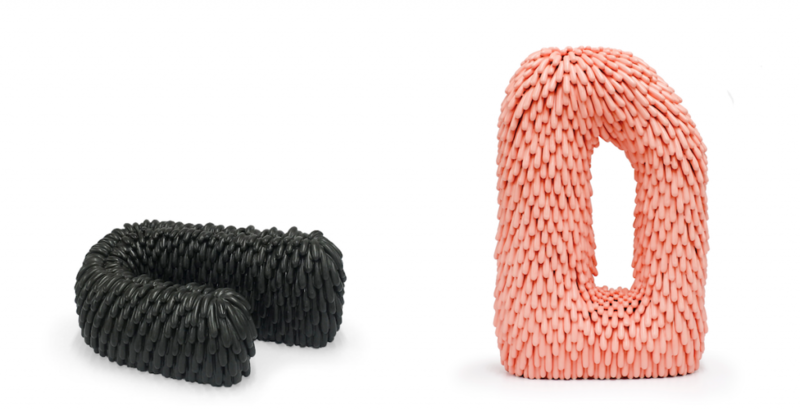 Martha Rieger creates extremely large forms through a variety of methods. Some are wheel-thrown, while others are made with slip molds and casts. She glazes her pieces using a variety of techniques. Some are stamped with a sponge, and others are created by masking off sections. Be sure to go to the “About” section on her website and explore the videos. Rieger has a team helping her to create the pieces. Discuss with students who should receive credit and take ownership for the work when a team creates an artist’s vision. 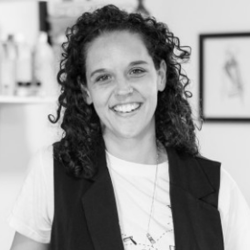 Honor Freeman is an Australian artist inspired by ordinary objects. 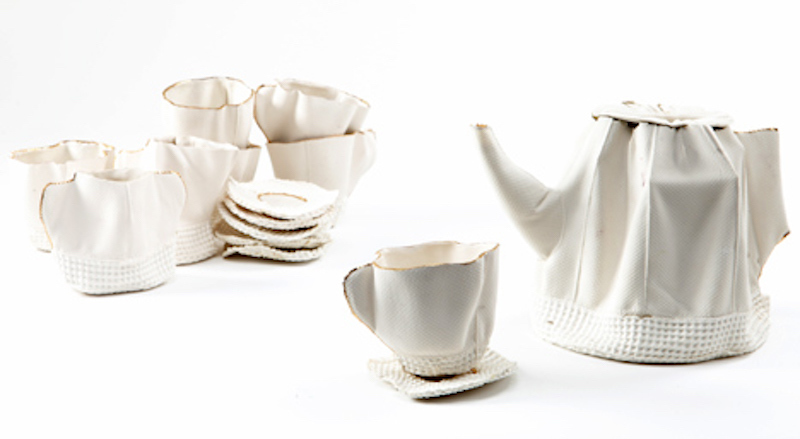 She works to mimic everyday objects and recreate them in porcelain. Much of her work is created through slip casting. This video shows some of her processes and allows students to hear her talk about her work and inspiration. Freeman’s work is all about recording everyday objects and capturing the stories they hold. Have students bring in an everyday object and write a story about it. Students could also explore dipping everyday objects into air dry slip, observing how it changes the piece. Boxnboim’s fascinating process begins with textiles. She first creates a fabric form, then fills it with slip. As the slip dries around the edges, she pulls out the extra from the center leaving a hollow form. Once the slip is totally dry, she fires the pieces in the kiln. The fabric burns away, leaving behind a clay replica of the fabric piece. The clay retains the folds and texture of the fabric. Connect with your family and consumer science teacher to have students sew objects. Next, follow Boxnboim’s process to fill the objects with slip, and then fire them. 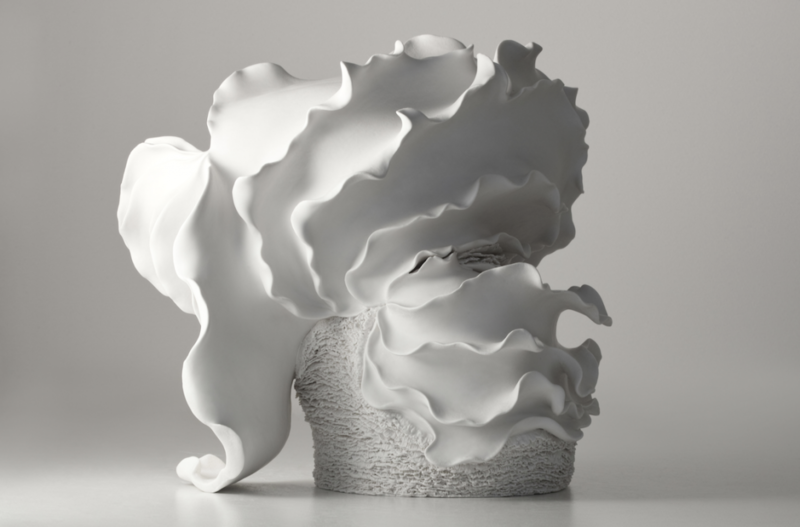 Emre Can combines the technology of 3-D printing and the craft of ceramics. The 3-D printer uses a material that has the same qualities as clay and prints pieces that look and feel like ceramics. The pieces are then fired and glazed just like regular ceramics. This video does a great job of explaining the process. Have your students brainstorm how they might use other tools and technology to inspire ceramics pieces. 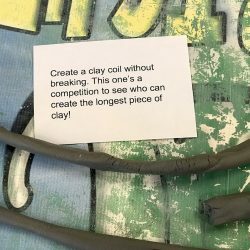 Clay can be messy and a bit of a challenge when it comes to managing things like drying time and firing. However, it’s also a magical material students love and often allows students to find success. Use these artists to inspire the students in your classroom! Who is your favorite ceramic artists? What is one new idea you have after exploring the work of the above artists? Linda Lopez was one of my professors in college. she is a magician with clay. thanks for the inspo.